and there's still more to come! Until then, make sure to let us know your thoughts in the comments! ME: Alrighty, no matter how much you may love some pairings, and no matter how much it may just seem dead wrong to question Our Jane, I think our modern, logical selves must intrude on occasion to say "Those two? Really?" Some just seem a little doomed from the outset. Any particular ships you see as ready to crash? JULIET: Most of the ready-made couples that we meet in Jane Austen’s novels have marriages made in hell. A precious few seem to be happy – for example, Admiral and Mrs Croft, Mr and Mrs Morland, Captain and Mrs Harville, and Mr and Mrs Weston. Juliet: Many secondary characters who marry during the course of the novels are doomed – think of the Collinses, the Wickhams, the Rushworths, and the Willoughbys. TALIA: It goes without saying that Lydia and Wickham are not a match made for the ages. They are two frivolous characters who will spend their lives making each other miserable, but at least they deserve each other. JULIET: A handful, such as the Benwicks and Mr and Mrs Robert Ferrars, appear to have better prospects. SUSAN: [Actually,] James Benwick and Louisa Musgrove are my candidates for rough road ahead. SUSAN: Louisa eventually will return to her ebullient self and no longer be the delicate, damaged maiden that Benwick rescues with his poetry and tragic romantic back story. Louisa is somewhat a blank slate and with a Frederick Wentworth, she might mature into a well-rounded woman. Benwick is less elastic and, I think, prone to allow disappointments of the past to shadow everything in life. Eventually, that sort of personality darkens not only their life, but also the lives of everyone around them. I don’t see them happy once she’s fully recovered, though the romantic in me would love to see them influence one another for the better. 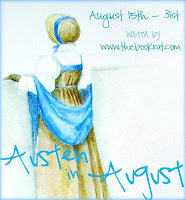 JULIET: As for Austen’s heroes and heroines, we can only speculate about their chances of happiness. I have no worries for the Darcys, Bingleys, Tilneys and Wentworths. But I’m not convinced by the other unions – Ferrars, Brandons, Bertrams and, dare I say, Knightleys. Like couples today, it’s a bit of a lottery. JENNI: I think Emma and Mr. Knightly will have the rockiest and most fun road ahead of them. ALYSSA: [They] are likely to have a bit of trouble. I’m not convinced that Emma is reformed as a match-maker, and as such, is very likely to meddle again, probably to the detriment of everyone involved. JENNI: She is young and zealous and still learning about life, while he is quite steady and joyful, yet firm. Though she did well when he told her off during the book, I believe as she comes more fully into her own, there will definitely be some sparks that fly when he tries to stop her managing ways. ALYSSA: If he can keep her distracted, the Knightleys may, however, be just fine. JENNI: I do feel it will be immensely entertaining and desirable for both. ME: Hmm, so I think we're all in agreement about the Knightleys, but as Juliet mentioned, there are really quite a few potentially rocky relationships, not just among the minor characters, but even the major ones. I think the same things said of Louisa and Benwick can be said of Marianne and Brandon - she suffers this major disappointment, and she's still very young and very melodramatic. Is it safe to say that she's just playing defeatist in marrying Brandon, and that's it's going to come back to bite them both? TALIA: Marianne and Brandon is perhaps the relationship that bothers me the most. Marianne is so passionate, and it hurts my heart to see her settle for someone that she may respect, but cannot love. ME: I feel bad for Brandon, too, because I think he a) may be a bit misguided - I wonder if he's projecting feelings on to Marianne, not for who she is, but who she reminds him of, and b) I like him, and think both he and Marianne deserve love, real love, and not settling. But what do you guys think? Which ships are headed for stormy waters? Let us know, or defend your favorite complicated couples, in the comments! Many thanks to Juliet Archer Alyssa Goodnight Jenni James Susan Kaye and Talia Vance!! I definitely worry more about the Brandons than the Knightleys, not that I don't think the latter will have their share of fights because THEY WILL. Here's the thing: I felt like Maryanne settled for Colonel Brandon because she was so overwhelmed by all of the crazy that happened in her life. I just did not feel that passionate bond between them. They do like one another and respect one another, but I think some day she'll emerge from her shock, and she'll be in her prime and he'll be old, and she'll wonder how the frack she got there. The Bertrams may wake up one day, realize they're cousins and need a lot of therapy. Maybe not, though. I have a problem with the Brandons because I think Marianna settled so that never makes for a happy marriage. I also, had Edmund and Fannys relationship. I think he treated her like a toy or a pet. Something he could play with when he was in the mood too. I think that will end up caring on into their marriage. I agree with Juliet for the most part. Wickhams and Willoughbys are a given. I think Collins will be okay it's about priorities and business basically not love. I think my biggest worry would be the Bertrams. I don't more than friendship in their relationship scenario. I think Col. Brandon and Marianne could go either way. She was so very young but with a little maturity may appreciate his level-headedness (opposites attract). I think Col. Brandon has the still waters run deep thing and he is passionate but doesn't show it outwardly like M does. Knightley's are a bit of a worry also. Neither Ferrars couple gives me cause to doubt their ability to succeed.